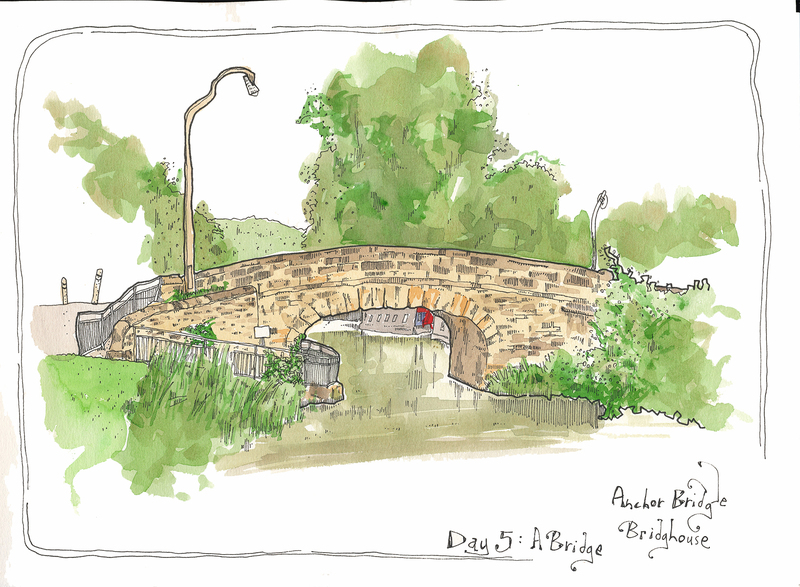 One of my favourite bridges in my local town of Brighouse. I’ve drawn the pub beside it in the past – coincidently also called The Bridge, although I think it was called something else originally. This view is looking down the canal towards the marina in Brighouse and I was positioned on the footpath/cycle-path which was part of my cycling route to work. Days when you can cycle to work along the canal towpath for the majority of the journey, cycling past the morning traffic jams! – surely must rank pretty highly on the ‘living the life’ list – passing ducks and squirrels on the way to work; what could be better?